In conversation with Anusha Balasubramanian. Anusha spends her days as an executive assistant at a Philadelphia investment firm, but her greatest passions are books, cooking, and her mother's idli. 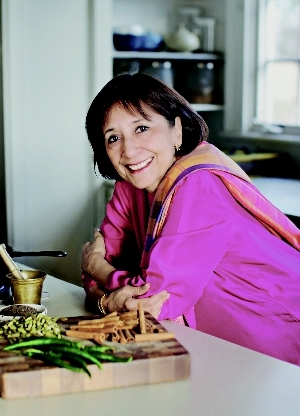 Lauded as the “queen of Indian cooking” (Saveur), Madhur Jaffrey is largely credited for bringing her home country’s cuisine to America with 1973’s An Invitation to Indian Cooking. She has since authored more than a dozen James Beard Award–winning cookbooks. Also an acclaimed actor, Jaffrey won the Silver Bear for Best Actress at the 1965 Berlin Film Festival for her role in the Merchant Ivory film Shakespeare Wallah. With more than 70 easy-to-replicate recipes, her new cookbook offers a guide to making Indian cuisine with one of America’s new favorite kitchen gadgets.